Aztec New Mexico USA 1971. 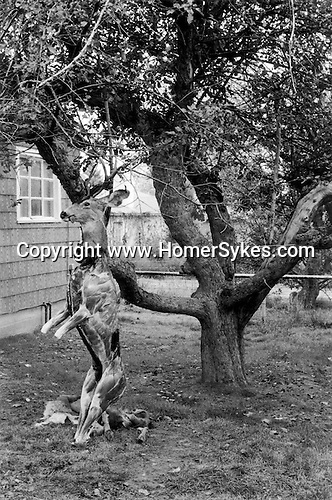 A skinned deer hangs from a tree in a front garden. The head will become a " trophy", while the body will be put into the deep freeze.